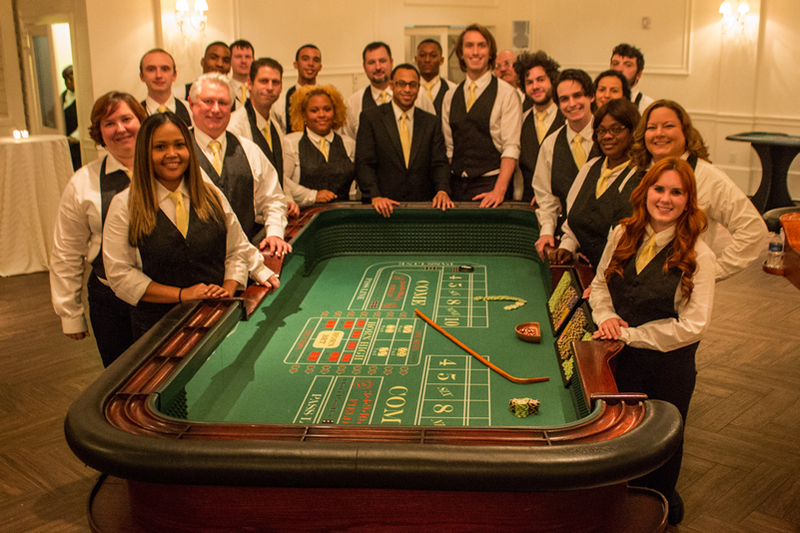 Let us plan your next casino party in Atlanta GA — your guests will love you for it! Because guests aren't playing with real money, you might ask yourself, "How does this whole thing work?" Whether you're hosting a corporate event in Atlanta or a private party somewhere in Georgia, here's what happens from start to finish. 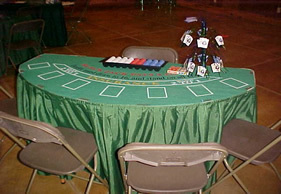 How Does An Atlanta Casino Night Party Work? First, as your guests enter the party, our staff hands out the same amount of play money to everyone. Our "funny money" is in denominations of $500 bills, and we usually distribute two bills, or $1,000 total, to everyone in attendance. Once the casino opens, guests can walk up to their favorite table and hand either $500 or the whole $1,000 to the dealer, who will in turn exchange this money for casino chips. 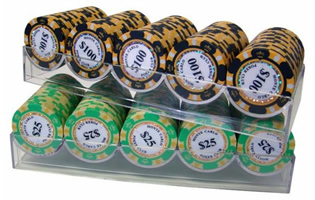 Our casino chips are clearly marked with denominations that range from $25 to $10,000, and each denomination has a different color so guests can easily tell each one apart. Typically, once they hand in their funny money to the dealer, guests receive a combination of $25 chips and $100 chips to start. 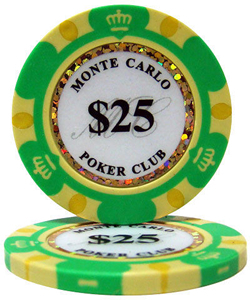 Because our smallest chips are $25 denominations, $25 usually serves as the minimum bet at most tables. Once guests start getting involved in the action, their stack of $25 and $100 chips might start getting larger and larger, at which point the dealer at their table might "color them up" and exchange their smaller denomination chips for larger‐valued chips. In this way, as guests go from table to table, they're not necessarily carrying an unwieldy amount of chips. What If Someone Runs Out of Chips? On the other hand, if someone actually goes on a losing streak and runs out of all their chips and funny money before the end of the party, our crew can always give you a stack of extra $500 bills to distribute at your discretion. Or you can just allow our dealers to give out more funny money (or chips) if someone runs out. Some clients like to play it more strictly and not give any additional money if guests run out, wanting to be extremely fair to everyone, while other clients are more laid back and allow guests to keep coming to them for more funny money. Some clients get creative with the whole scheme, giving away more funny money as needed, but also planning a gag‐gift of some sort for the person who goes through the most money over the course of the night. How Long Do People Play the Games? All our parties in the southeast include 3 hours of gaming time. Although this 3-hour period is not a mandatory minimum length of time, our pricing remains the same for events that are shorter than 3 hours, so most clients take advantage of the full 3 hours of gaming time. As the gaming time is drawing to a close, our dealers will announce the last hand, the last spin of the wheel, and the last throw of the dice. 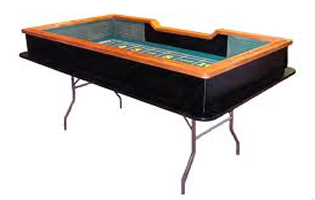 Guests will then be instructed to go back to their favorite table and turn in their casino chips. If you choose to have a raffle we'll provide raffle tickets free of charge, and our crew can handle all the logistics and even emcee the entire raffle for you. At this point, each of your dealers will "cash everyone out," meaning that they'll count up everyone's winnings in chips and convert these to raffle tickets. 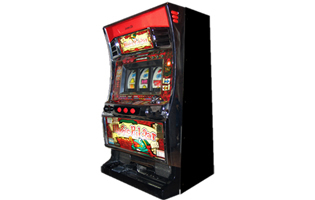 The simple idea is that the more chips you've won over the course of the night, the more raffle tickets you'll earn. The standard conversion that we've found to work best is giving one raffle ticket for every $500 in chips that guests have left at the end of the night, rounding up as needed. For example, if someone simply breaks even and ends up with $1,000 in chips, they would earn two raffle tickets. Alternatively, if someone has $1,100 in chips, they would earn three raffle tickets. Keep in mind that a handful of your guests might win big and end up with a lot of chips, so you don't want a smaller conversion that requires them to walk around with a roll of thousands of raffle tickets. One ticket for every $500 tends to work out quite well – not too many and not too few tickets for each of your guests. After all this though you might be asking, "If no one is playing for real money, why should anyone take the gaming seriously? And what are these tickets for?" In one word: PRIZES! 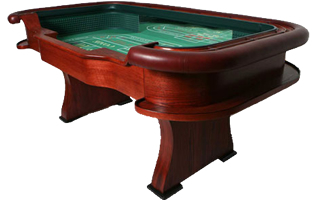 Although you'll have to provide the prizes, this is what gives your guests the incentive to play for keeps. You don't need to go wild and crazy when coming up with prizes — items like bottles of wine or liquor, dinner for two at a local restaurant, gift certificates, a manicure/pedicure/facial for the ladies or sports‐related items for the guys, and small electronics like an iPod Shuffle or iPod Nano are all popular prizes. Some clients have even gotten rather creative and given away things like 6‐month Netflix subscriptions, which isn't too expensive but very practical! Our advice is always to think about items that your particular guests might actually love to win. In terms of how many prizes, it's always nice to have more than one if possible so that you can bill the last prize as you "grand prize," but even this isn't set in stone. At this final point of the event, the simplest way to give away the prizes is to have a random drawing for as many prizes as you have. If you had 3 prizes to give away, for example, our crew could randomly draw 3 winning tickets. If you had 4 prizes, they would pull 4 winning tickets. A twist on this that's even more interactive is to do what's sometimes called either a "Chinese Auction" or "Teacup Raffle" or "Tricky Tray." This is where you simply put a basket or bucket in front of each prize, and then everyone decides where to "spend" their raffle tickets. The prize does NOT go to the person who puts in the most raffle tickets, as in a silent auction though. There would still be random drawings for each prize, but someone might say "Hmmm, I want all my tickets to go towards the drawing for prize X instead of any of my tickets going in the drawings for prize Y or prize Z." However you decide to run the raffles, our crew can easily handle all the details for you and emcee the whole thing! Here's an important point to note regarding prizes. Some clients ask us about the possibility of giving away prizes to the biggest winner, or the top 3 biggest winners, for example. We always advise against doing this, however, as we find that some guests begin to "pool their chips," resulting in a situation where the biggest winner isn't necessarily the person who won the most, but the person who was able to grab the most chips from their friends. Also, you don't want those of your guests who are new to gambling to get discouraged and give up early into the event if they look over and see someone with a gigantic stack of chips early on in the night. Giving away your prizes by way of random drawing helps everyone to walk away feeling that they were treated fairly. GET AN INSTANT ONLINE QUOTE NOW! 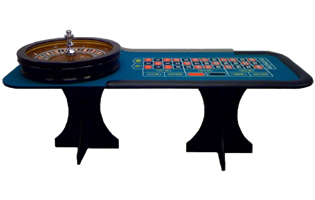 The same equipment that will arrive at your casino party or casino night fundraiser is the very same casino-grade equipment that countless major TV networks and Hollywood films have rented from us! Our fun & professional dealers have the patience to instruct novices how to play each game, the skill to teach even seasoned pros a thing or two, and the personalities to keep everyone entertained all night. 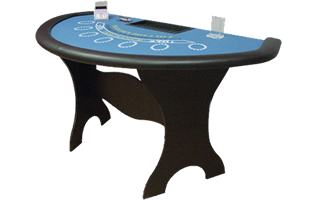 We only use the highest-quality 14-gram clay casino chips at all our casino night events and on all casino equipment rentals. They look and feel just like real casino chips...because they are! 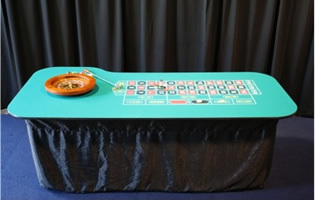 Real casinos don't use unsightly metal folding legs or silly-looking table skirts on their tables, and neither should your casino party company. We think you'll notice and appreciate the difference! Sick of pushy salespeople, lengthy forms, and what feels like a used-car salesman pressuring you for days on end to book a party? We are too and that's why we came up with our free instant price quote system! If you'd like to get a price quote from any of our competitors, you'll either need to fill out a lengthy online form, give all your personal details, and then wait an indeterminate amount of time until they call you back and pressure you to make a purchase. Or they'll keep emailing you until you're forced to tell them to leave you alone. If you're sick of waiting for them to get back to you with a price, you'll be forced to call them and subject yourself to the same aggressive sales tactics. We, on the other hand, actually set out to make the whole price quote process FUN! Simply walk through a few interactive pages on our website, let us know where (what zip code) and when your party might be, plug in your email address, and hit submit. Our website will immediately email you a password. 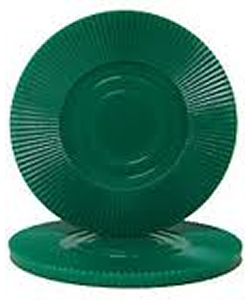 Plug that in and your price quote will instantly be right in front of you on our website. From that point you can get more instant price quotes or even begin booking your party, all without receiving a high-pressure sales pitch! Found a better price somewhere else but prefer to work with us? Simply submit the written quote from one of our competitors and we'll either match the price or tell you what the catch is with their lower price. An actual document (PDF file or Microsoft Word document, for example) as opposed to an email that simply says something like, "We can do that for $250"
If it appears that the other company is providing the same casino-grade equipment and the same level of quality & service that we are for a lower price, we'll be happy to match that price for you. If we spot one or more of the above items missing though, we'll let you know what "the catch" is with either their quote or their company. We like to pay attention to the little things, and we think you'll appreciate the thought and care we've put into our service. 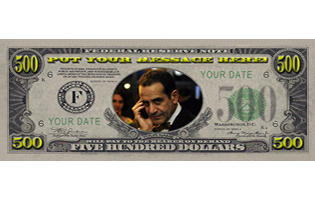 That attentiveness even extends to details like the quality of our custom funny money. First and foremost, we believe in honesty and transparency. With us you won't see any hidden fees or surcharges slipped onto your contract—only straightforward pricing & policies from beginning to end! 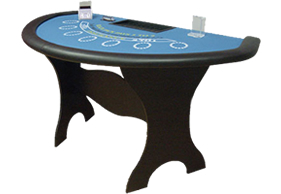 Chairs for any poker tables you might have on your party. Note that all other tables are stand-up height and therefore no chairs are required. A 50% deposit in the form of either a completed credit/debit card authorization form (if you'd like us to run your card for you) or an online credit/debit card or checking/savings account payment (if you'd like to submit the payment yourself online. Once we receive your signed contract and 50% online deposit or completed credit card auth form, we'll email you a confirmation receipt letting you know that your party is fully booked. Please note that parties are not considered fully booked until we receive both items above (signed contract AND 50% deposit). All final balances are due 7 days prior to your event date. You are allowed to cancel or reschedule your event for any reason whatsoever so long as you notify us in writing more than 4 weeks (28 days) prior to your event date. Any and all deposits or charges will be refunded and nothing will be due. Therefore, should you wish to book your party well in advance of your event date, you really have nothing to lose! 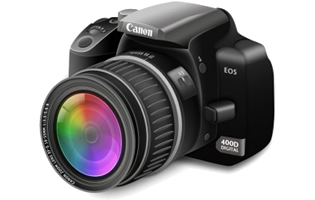 Please be advised that once you book an event or rental with us, other orders are turned away for the same equipment and we begin incurring costs that cannot be recovered. Therefore, should you need to either cancel, reschedule, or downsize your party for any reason within 4 weeks of your event date, the full contractual amount will still be due in full for your original booking. In the event that inclement weather has been forecast for the day of your event (blizzard or snowstorm, for example), we will stay in contact with you regarding the possibility of postponing your event and rescheduling. All decisions regarding postponement due to inclement weather must be made more than 48 hours prior to the event start date/time, however. Should you decide to reschedule your event less than 48 hours prior to the event date/time, your full contractual amount is still due, but we will allow you to reschedule the same contract for 50% of the original price anytime within 1 year (365 days) of the original event date, pending availability. Please note that rain is not considered inclement weather, so if you're planning on setting up the casino outdoors, please have a backup plan in the event of rain! We Love What We Do — And It Shows! Whether it's adding more free tools to our website, following up with clients to see how we can improve, or researching new ways to make your experience with us even more enjoyable, we're passionate about casino parties and we'd love to share that enthusiasm with you and your guests! Atlanta, GA and beyond: Whether your event is inside the perimeter or outside, in Athens or Augusta, Buckhead or Birmingham AL, Columbus or Chattanooga TN, Smyrna or Savannah, Vinings or Valdosta, Midtown, Downtown, Macon, or anywhere in Georgia or beyond, we'd be happy to work with you! Apply For A Dealer Position Here! Your guests will love you for it! 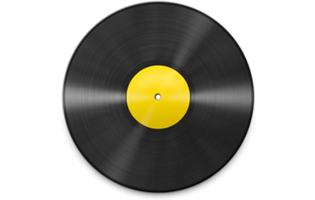 Copyright © 2019 Big Eastern Events. All Rights Reserved.